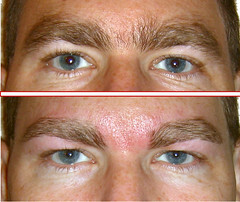 Besides a good hair cut and style, well-plucked eyebrows can give you a well groomed appearance. And this applies to the men too. From the pictures here, you can see how much better this man looks after his brows were cleaned up. When it comes to your eyebrows, do you tweeze it yourself or get it professionally done? Some of you have even opted to have your eyebrows tattooed or embroidered which is fine provided that you can stand the pain and your pocket as some of you may find that the color will fade after some time.. However, having a professional do your eyebrows first will set a 'blueprint', then all you have to do is to maintain by pluck where the hairs grow in. Tips on how to tweeze your own eyebrows. Cleanse your skin with a washcloth and warm water which naturally exfoliates and soften the skin . You can even use a facial scrub. If you have a low threshold for pain, you can dull the pain by applying Anbesol, Orajel or any teething gel for babies. You can also try patting some baby powder on your brow for a better grip and lesser pain. Brush brows up and in an outward motion with a clean toothbrush. You can also use your fingers. Stand or sit near a window with natural light or under a bright light with a good mirror (magnifying mirrors are best, but be sure and flip it over to check your overall effect in the regular mirror). Always tweeze hairs in the direction they grow. To lessen the pain factor, don't grab too many hairs at a time. Hold the skin taut as you pluck. You can start tweezing the area under your arch first, then clean up in between your brows. You should tweeze the bottom arch and not the top. But for a smoother and cleaner look, use an eyebrow shaver to shape the top brow and also to remove any fine hairs. Where should the arch be? Hold a long eyeshadow brush or pencil parallel to the outside edge of the colored part of your eye (the iris). Where the brush meets the brow is where the highest part of your brow should be. Tweeze the hairs underneath the arch. To find where your brow should go, here is what you can do. The space between your brows should be equal to, or a little wider than, your eyes. Hold the brush or pencil parallel to the side of your nose. Where the brush meets your brow is where your brow should begin. Tweeze the strays in between. Remember to pause occasionally, step back and look at the job you're doing. If you over pluck, you cannot undo it. Unlike most hairs on your body, your brows won't always grow back once they're pulled. So do exercise care. To calm the redness right away, you can apply some aloe vera gel over the brow. 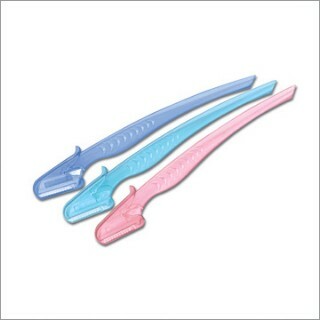 To ensure your tweezers maintain their firm grip, regularly wipe the tips with alcohol to remove any oily build up. Or if you can tolerate a little pain, using powder before tweezing will solve this issue. If your brows are sparse or spotty, use a Q-tip or eyeshadow sponge to fill them in by pressing a brown shadow into your brow. The with a brow brush, lightly smooth the color to even out. Over plucking? Ji Baek, owner of Rescue Beauty Lounge in Manhattan suggests in Elle Magazine that you stimulate hair growth by massaging brows with a toothbrush. Or brushing some coconut and jojoba oils will also help the regrowth. If you use a pencil to fill in sparse brows, apply with short, feathered strokes from the inside of the brow out. Then carefully rub brows with a brush or your fingertips to soften the effect. Brow gel helps keep your brows in place all day. Or if you don't have gel, apply a dab of hairspray to your finger and use it to keep unruly hairs in place. The ideal time for brow-shaping is the week after your period begins. It the time in your cycle when your body is least sensitive to hair removal. My next topic for discussion is, "Is There Such A Thing As Zero Calorie Food?" 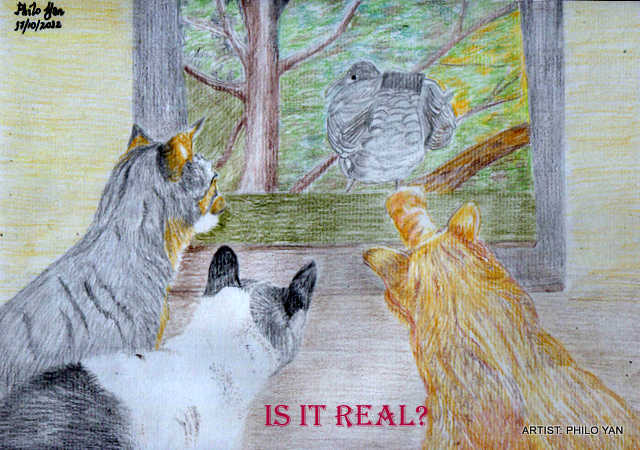 Sammy says, I think it's real. Bill says, Put her on the grill! It's just a painting, Bill. 150) Sparse Brows? How to Fill It In.